On November 11th we stand together to remember those who sacrificed themselves for our freedom in WW1, honouring the fallen with a two-minute silence and visiting War Memorials to pay our respects and view poppy railings. Remembrance Day 2018 will be slightly more special, however, as it marks the 100-year anniversary since the end of WW1. It is a time to reflect and raise awareness among generations, reminding us of how fortunate we are to live peaceful lives not affected by war. 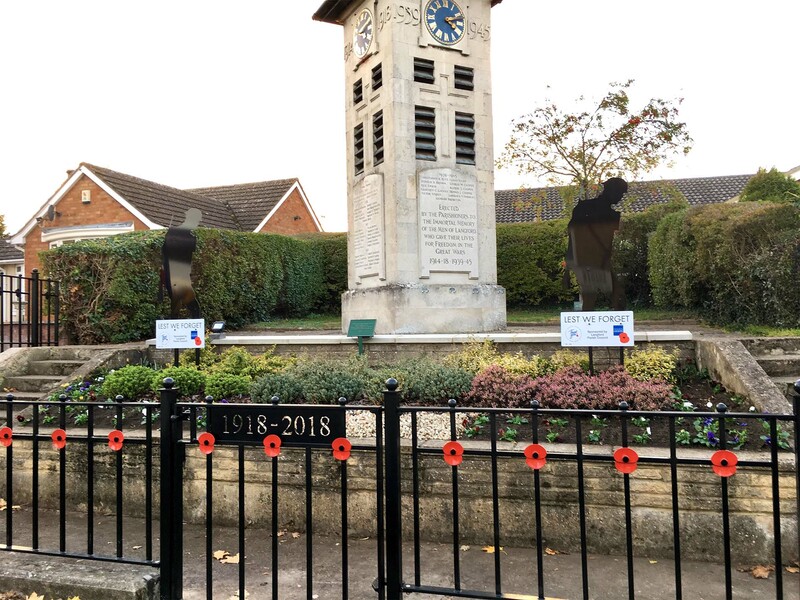 Alpha Rail was contacted by Langford Parish Council in Bedfordshire because the village war memorial needed refurbishment. The memorial was already surrounded by metal railings; however, these had been in place for many years were beginning to look unkempt and showing copious amounts of rust, and in some places, were only being held together by the paint. Being in such poor condition, the Council decided it was time to replace them with brand new metal railings. With 2018 marking the 100-year anniversary since the end of WW1, Langford Parish Council saw this as the perfect opportunity to start their project and breathe new life into their War Memorial just in time for Remembrance Day. Having metal railings installed previously, Langford Parish Council was already aware of the benefits of using metal instead of other materials such as timber because metal railings offer low maintenance and longevity. It was therefore an easy decision to replace them with new metal railings. Having found and visited the Alpha Rail website showing photos of the beautiful traditional poppy railings we have installed around other war memorials, Langford Parish Council contacted us to manufacture war memorial railings for their project. The deadline was tight, as they wanted to have the works completed by November 9th in time for their Remembrance Day Service. Alpha Rail got the ball rolling immediately on this project to ensure that Langford Parish Council’s War Memorial would be revamped with bespoke poppy railings and ready for all to see on the day of the Service. In total, Alpha Rail supplied and installed 18 linear metres of 900mm high decorative railings which were supplied painted black RAL 9005. We also supplied a matching single leaf gate to enable access to lay wreathes on the steps of the memorial. The finishing touch and overall visual effect was completed by adding plasma cut decorative poppies which were painted red and welded to alternative vertical bars. The metal railings have been very well received by members of the public, who have contacted the Council to offer many positive comments and compliments.